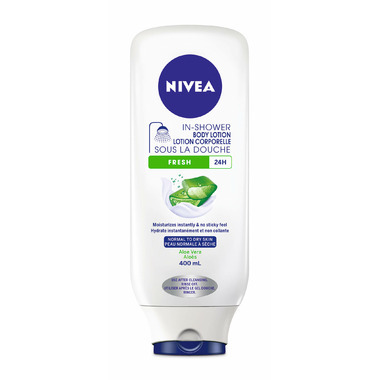 The Nivea In-Shower Body Lotion is a break through body lotion that is designed to be used in the shower! Simply rinse off after application to leave your skin silky smooth and moisturized, but with no sticky residue. To use: Apply after cleansing skin in shower, and simply rinse off for long-lasting moisture.